Megan joined Brouse McDowell as a summer associate in 2016, working on general business, risk management, and tax matters. She is a transactional attorney, developing her practice in our Business Restructuring, Bankruptcy & Commercial Law and Corporate & Securities practice groups. Megan is primarily based in our Akron office and is particularly interested in corporate structuring, liability protection, and tax issues surrounding nonprofit and 501(c)(3) organizations. 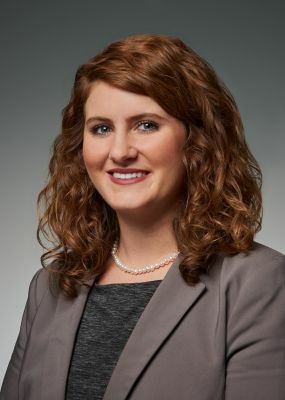 While earning her J.D., Megan was the Managing Editor for the Pro Bono Research Group and an Associate Editor for The Ohio State Journal of Criminal Law. She also worked as a law clerk at a local firm in Columbus, Ohio, where she gained experience drafting wills, trusts, corporate resolutions, stock redemption agreements, and LLC operating agreements. Megan also volunteered as a law clerk for the Legal Aid Society of Columbus, where she worked with tenants to address deficient housing conditions in their rental units. Megan received a CALI Excellence for the Future Award for her transactional work with the clients of the Entrepreneurial Business Law Clinic. Before entering law school, Megan worked in the financial services industry and had obtained the FINRA Series 6, 7, and 63 securities licenses. Megan currently lives in Akron with her two dogs. She loves skiing and snowboarding and is an avid gardener. Click here to view Megan's complete biography.